At least four Jaish-e-Mohammed (JeM) militants caught between 2014-17 were trained at the Jaish’s Balakot camp that was targeted by the Indian Air Force in a “non-military” strike on February 26, official sources said. The four militants, all Pakistani, told during their interrogation that militants trained at Balakot were either sent to Afghanistan or Kashmir. According to officials, Waqas Mansoor, who hails from Khyber Pakhtunkhwa and was arrested by security forces in 2014-15, said he was trained with 100 youths. “Mansoor was active in the Valley since 2007 and told us that 40 militants who were trained with him were sent to Kashmir while the remaining 60 were sent to wage war in Afghanistan,” a top government official said, while quoting interrogation details of Mansoor. Mansoor was involved in two major attacks in the Valley, according to officials. In March 2009, he was part of a group of militants that attacked Army personnel at Lolab near Kupwara, killing four of them, the officials said. They added that he was involved in another attack in June 2009 in which six Armymen died. “Mansoor, upon his return to Pakistan in 2010, joined Lashkar and was trained at LeT’s centre in Mansera,” officials added. The details, sources said, are in the dossier given to Islamabad regarding the presence of JeM terror camps in Pakistan. Officials said that they had learnt during the interrogation of arrested Jaish militants that JeM militants underwent different training courses. The militants were imparted a three-month advance combat course called Daura-e-Khas and an advanced arms training course called Daura-Al-Raad, they added. Arrested in 2016, a JeM militant identified as Abdul Rehman Mughal alias Raja had said during interrogation that every militant sent to Kashmir was given a code name, said officials. According to officials, Mughal’s code name was Romeo and he was tasked to set up training camps in Kashmir. “Mughal, during his questioning, said that in order to become a fidayeen (suicide attacker), one has to express his willingness and apply in writing before the camp commander at Balakot,” said an official. According to officials, another Jaish militant Nasir Mohd Awain, who was arrested in Kashmir in 2014, had said during questioning that the Balakot camp had over 80 trainers. A native of Attock in Pakistan, Awain was trained there, said officials. He was involved in an attack on Radio Kashmir in 2003 in which one CRPF personnel and one BSF personnel were killed, said officials. Officials also cited the interrogation details of Mohd Sajid Gujjar, a resident of Sialkot in Pakistan who was arrested in 2015. The officials said Gujjar was involved in an attack on November 3, 2015 at an Army camp in Tangdhar in which three militants accompanying him were killed while he managed to escape. The three killed during the attack were later identified by Gujjar as Rizwan, Hussain Pathan and Muivah, said officials. 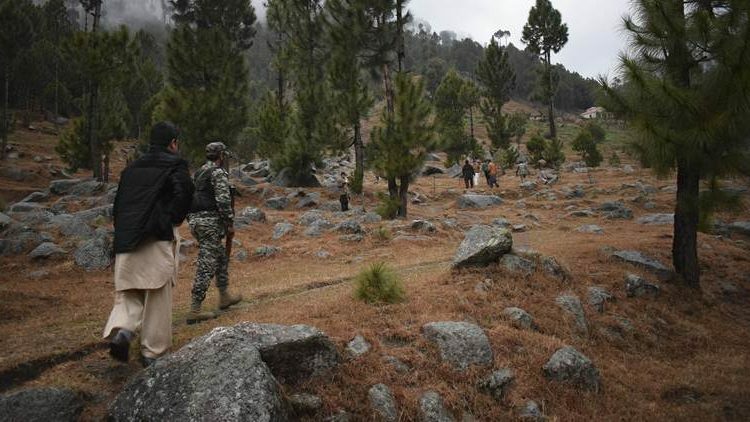 “All of them were Pakistani nationals who trained with Gujjar at Balakot camp and infiltrated into the Valley together,” said another official.